The Huntsville Hoyas XC Running team made it difficult for the larger teams from the south to ignore them yesterday at the GBSSA Championships in Duntroon, Ontario. First, some background. GBSAA consists of 35 teams. In 1994 Huntsville won the overall title. In 2012 Huntsville came second. In 2013 Huntsville tied for first with perennial powerhouse Eastview. The top two teams in each race qualified for OFSAA (Provincial Championships) November 1st in Waterloo. In addition to our two teams qualifying (Junior Girls and Senior Girls), Zac Pinheiro qualified as an individual by placing 4th. Two of our runners, Justin Smith and Natasia Varieur came very close to qualifying as individuals. This weekend, MARS welcomes Lynn Jennings to our community. Lynn will be speaking tomorrow night at The Active Living Center in Huntsville from 6:30-8 pm. 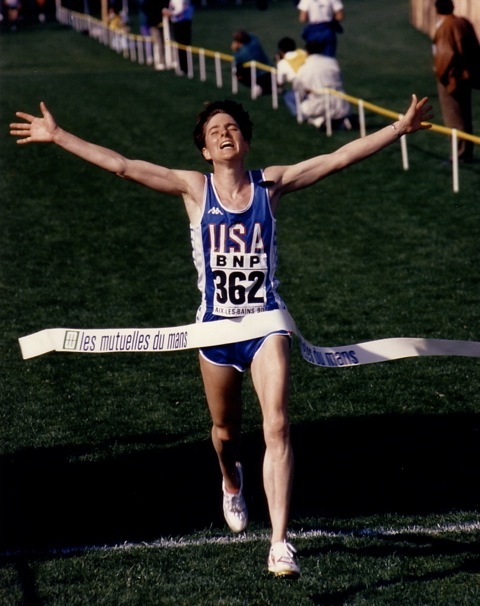 Lynn is an Olympic Bronze medallist in the 10,000m, a three time Olympian and three time World Cross Country Running Champion. Tickets will be available for sale at Pharmasave and The SportLab until 5 pm Friday and then will be available at the door from 5:45-6:25 pm. 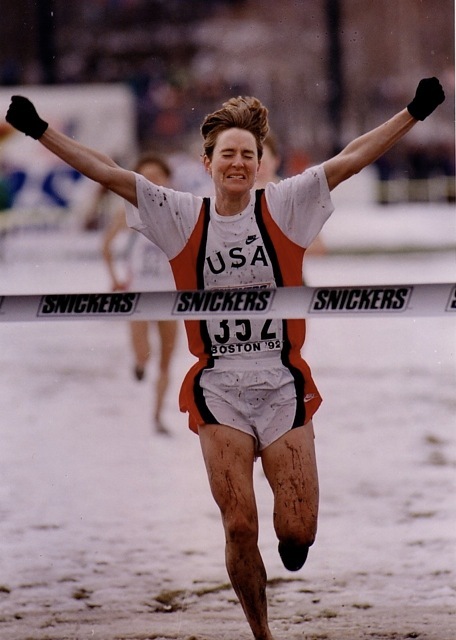 On Friday from 7-8 am Lynn will be part of an easy morning run with club members, meeting at Conroy Track. On Saturday, MARS and The Huntsville Hoyas will have a XC practice from 9-11 am at Arrowhead Provincial Park. We will meet at the lower gates and run in as the park is now closed to vehicles. Join us for some of these great opportunities. The next Masters XC race is November 2 at Sunnybrook Park in Toronto. The club will carpool at 9 am and will be back by 5 pm. Registration details here. Regular training sessions continue next week Tuesday and Thursday at 6:30 am at Conroy Park. See you on the roads, grass and trails.